Just like Garcia’s Forest, Jerry dance parties never have to end… As we countdown to LOCKN’ 2017, we’ll be rolling out playlists featuring the music you know, love, and discovered at Garcia’s Forest. Now you can listen to the magic of Garcia’s Forest wherever the golden road takes you! 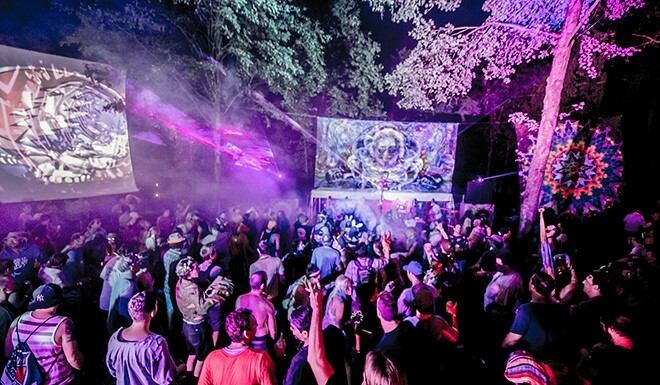 While LOCKN’ headliners like Phish, Ween, and My Morning Jacket consistently brought us to euphoric heights each night of the weekend, some of our favorite musical moments came from the late-night dance parties held at Garcia’s Forest. Good vibes and positive energy were flowing through the trees as we danced the night away with our family and friends. Sit back and reminisce with this curated playlist of Garcia’s Forest magic!